Arps Dairy is proud to once again reaffirm our commitment to the National Dairy FARM Program. 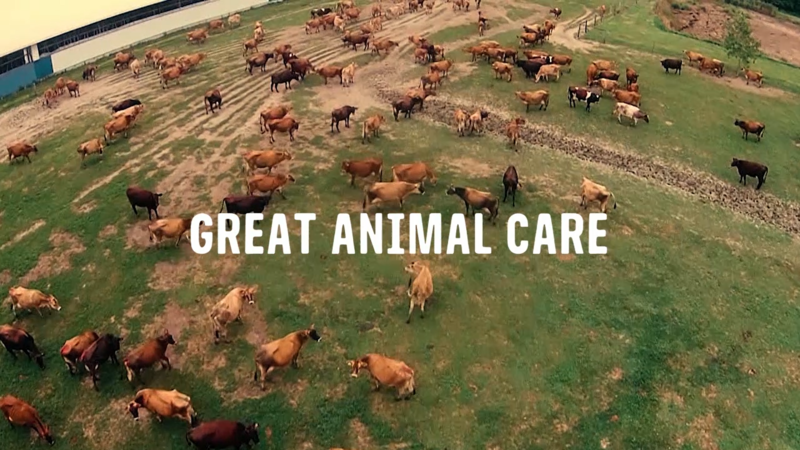 With the New Year, so came FARM Animal Care Program Version 3.0. which has a new set of program participation criteria that raises the standard for animal care even higher. As a participating organization, all of our family dairy farmers who supply Arps Dairy with raw milk will continue to implement and abide by the requirements of Farmers Assuring Responsible Management Animal Care Program (FARM) membership. At Arps Dairy we understand that our consumers expect – and deserve – safe, wholesome food from people who are producing it responsibly. Our family dairy farmers go to great lengths to treat their animals with the utmost respect and compassion (read more about our farm practices here), and we participate in the FARM program to not only demonstrate our commitment to the highest standards of animal care but to also show consumers that we are doing what is right for our animals and for our customers. FARM provides resources that set the highest standards in the industry, including the FARM Animal Care Reference Manual that farmers must follow for every calf and cow on the farm – guidelines that evolve with the latest research on quality animal care. I was wondering who won the name the cow contest ? What did you end up naming the cow. Becky Brooke won the contest and the cow has been named Ada after Ada Arps who served the organization for many years.